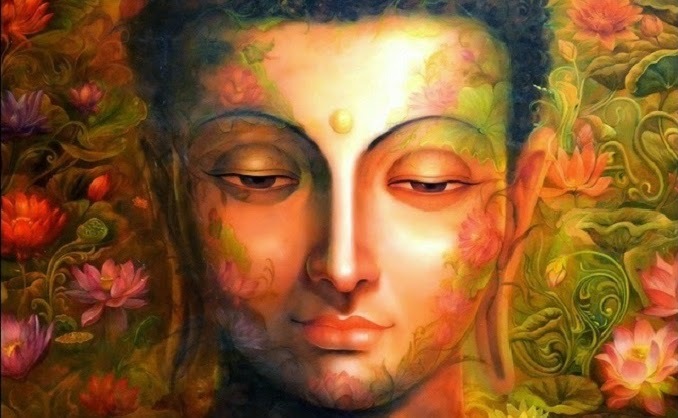 25 Life Lessons to Learn from Gautama Buddha. 01. LOVE HEALS ALL THINGS..
02. IT’S NOT WHAT YOU SAY BUT WHAT YOU DO THAT DEFINES YOU..
03. THE SECRET OF GOOD HEALTH IS TO LIVE FULLY IN THE NOW..
04. WHO LOOKS INSIDE AWAKENS..
05. WORDS HAVE THE POWER TO BOTH HURT AND HEAL..
06. LET IT GO AND IT WILL BE YOURS FOREVER..
07. NO ONE CAN WALK YOUR PATH FOR YOU..
08. HAPPINESS NEVER DECREASES BY BEING SHARED..
09. BE KIND TO ALL..
10. DON’T BELIEVE EVERYTHING YOU ARE TOLD TO BELIEVE..
“Do not believe in anything simply because you have heard it. Do not believe in anything simply because it is spoken and rumored by many. Do not believe in anything simply because it is found written in your religious books. Do not believe in anything merely on the authority of your teachers and elders. Do not believe in traditions because they have been handed down for many generations. 11. AS YOU THINK SO SHALL YOU BE..
12. LET GO OF FEAR..
13. THE TRUTH HAS A WAY OF ALWAYS LEAKING OUT..
14. CONTROL YOUR MIND OR IT WILL CONTROL YOU..
15. DOUBT SEPARATES. TRUST UNITES..
16. NOBODY IS MORE DESERVING OF YOUR LOVE THAN YOU YOURSELF ARE..
17. KNOWING OTHERS IS WISDOM, KNOWING YOURSELF IS ENLIGHTENMENT..
18. SPIRITUALITY ISN’T A LUXURY, IT’S A NECESSITY..
19. REPLACE JEALOUSY WITH ADMIRATION..
20. LOOK FOR PEACE WITHIN YOURSELF..
21. LET GO OF ATTACHMENT..
22. CHOOSE YOUR FRIENDS WISELY..
23. THERE IS NO WAY TO HAPPINESS. HAPPINESS IS THE WAY..
25. LOVE. LIVE. LET GO.. This post was republished from www.purposefairy.com. You can find the original post here.